Definition at line 1921 of file lscript_tree.h. Definition at line 1924 of file lscript_tree.h. Definition at line 1929 of file lscript_tree.h. 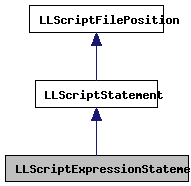 Definition at line 7879 of file lscript_tree.cpp. 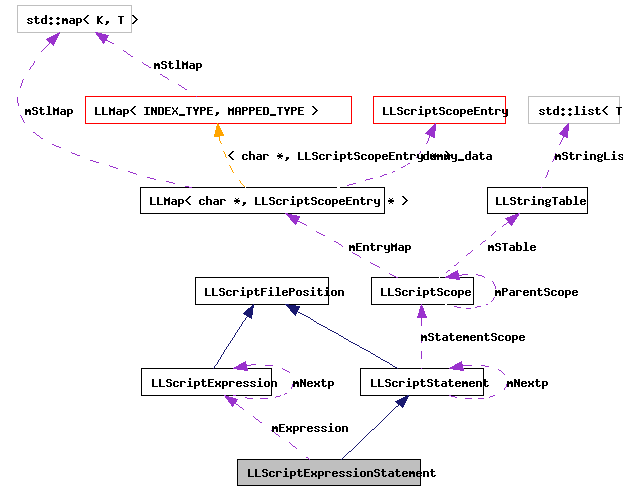 Definition at line 7884 of file lscript_tree.cpp. References LLScriptByteCodeChunk::addByte(), FALSE, LLScriptFilePosition::fdotabs(), gErrorToText, LLScriptGenerateErrorText::getErrors(), LLScriptStatement::gonext(), LOPC_POP, LOPC_POPL, LOPC_POPQ, LOPC_POPS, LOPC_POPV, LSCP_EMIT_ASSEMBLY, LSCP_EMIT_BYTE_CODE, LSCP_EMIT_CIL_ASSEMBLY, LSCP_PRETTY_PRINT, LSCP_PRUNE, LSCP_TO_STACK, LSCRIPTOpCodes, LSCRIPTTypePop, LSPRUNE_DEAD_CODE, LST_FLOATINGPOINT, LST_INTEGER, LST_KEY, LST_LIST, LST_QUATERNION, LST_STRING, LST_VECTOR, mExpression, LLScriptExpression::mReturnType, NULL, LLScriptExpression::recurse(), and TRUE. Definition at line 1936 of file lscript_tree.h.